We’re proud to be part of a dynamic project that set’s new standards for contemporary work spaces. 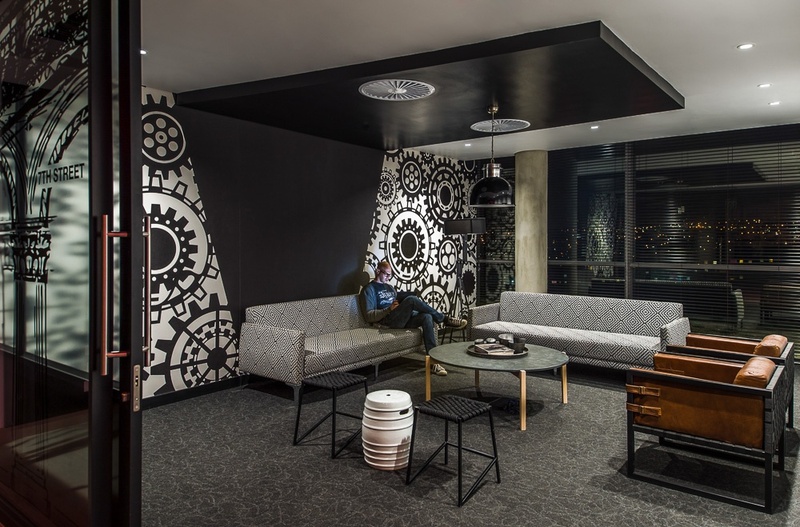 The interior design team at I4C, developed and implemented an amazing new space at the Allandale building in Waterfall city. “Attacq is proud to welcome leading international brands like Schneider Electric, Wisetech Global and Trans Africa Projects to Waterfall City. 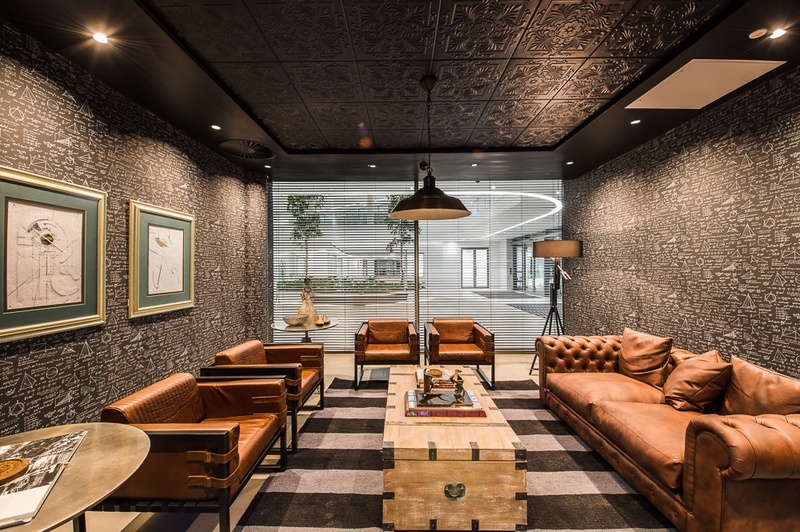 The Allandale building and the office interiors certainly sets a benchmark in workspace design and complements our vision to create work, live and play spaces within Waterfall City,” says Attacq Chief Executive Officer, Morné Wilken. Read more here. 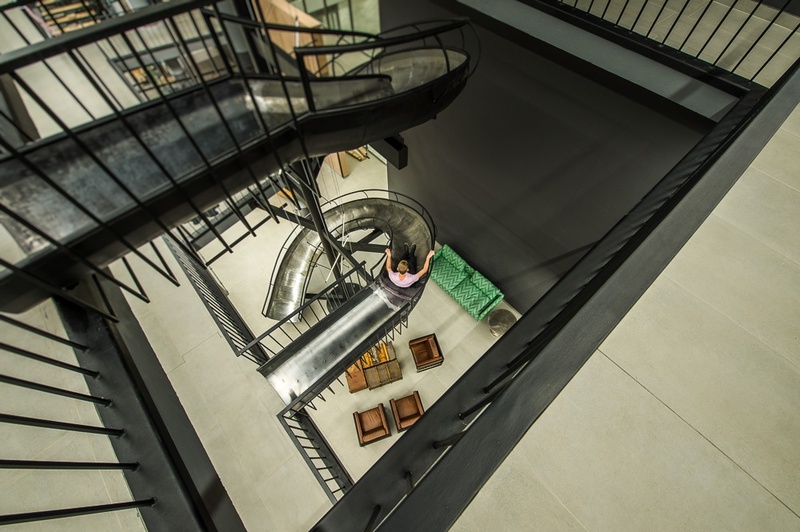 The core space features an incredible metal slide, transverse multiple floors, adding a playful feel to the office interiors. Whilst the breakaway spaces feature masculine comfort in the form of our Boss Armchairs. Thinking of adding a drinks station? 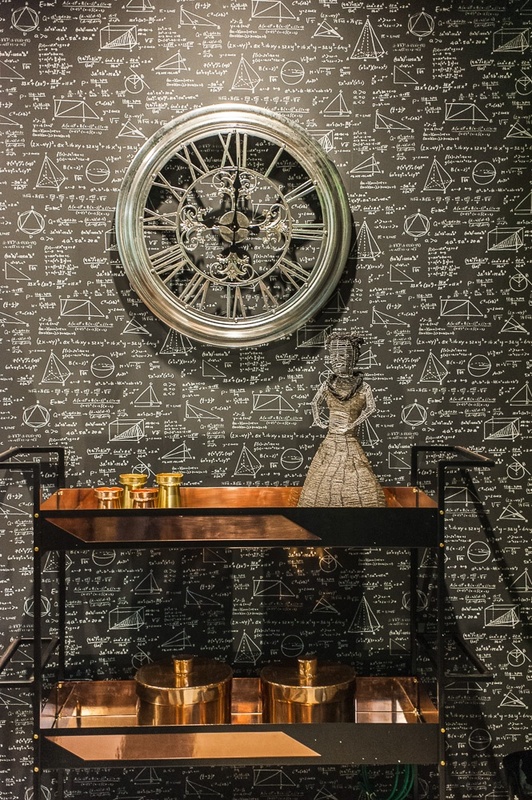 Our bar cart has the right touch. The growing trend of using well designed office furniture and creating lively atmospheres is on the rise, with true brand identity standing out and investment in quality interior design. 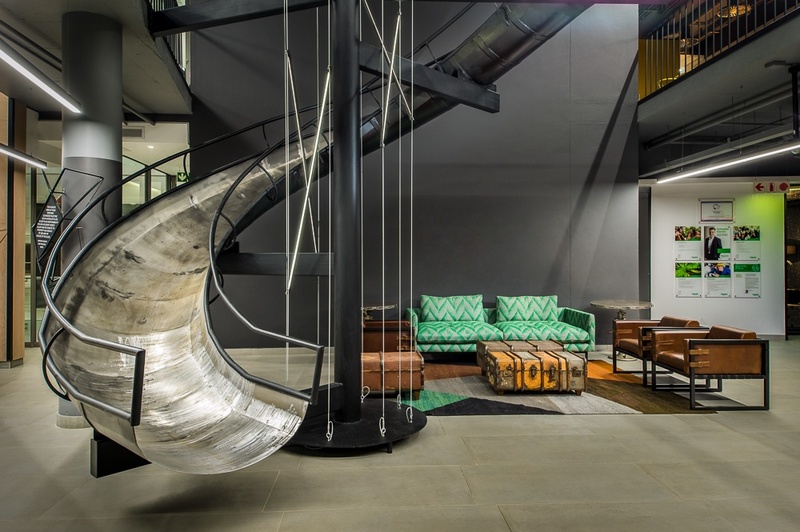 We’re excited to see the growth in great design producing productive and dynamic work spaces. Posted in Featured, Interviews, News.